The FDA has approved ViiV’s Dovato, a single-tablet, two drug HIV drug regimen of dolutegravir and lamivudine for treatment-naïve patients, making it the only company to have such a drug on the market. The approval follows a priority review by the FDA and is supported by the global GEMINI 1 and 2 studies, which showed that the two drug combination is as effective at suppressing the disease as a commonly-used three drug combination, but with fewer side effects. This is important for patients who have to keep taking the drugs to ensure the virus is kept at bay and does not progress to cause AIDS. Christopher Pace, senior director of infectious diseases and respiratory at GlobalData, said that he expects the drug to achieve blockbuster status in the coming years. He noted that the approval allows the GSK-led joint venture to more effectively compete against its main rival Gilead, whose Biktarvy (bictegravir/emtricitabine/tenofovir alafenamide [TAF]) has dominated the market with sales of over $1.1 billion globally since its approval in February 2018. 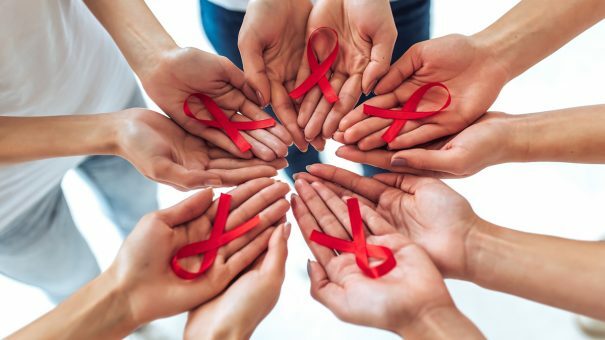 “Based on the solid data from the GEMINI 1 and 2 studies, I expect Dovato will quickly gain traction as a first-line option for patients newly diagnosed with HIV,” he said, “particularly those who would otherwise be precluded from receiving Triumeq (abacavir/dolutegravir/lamivudine) due to abacavir hypersensitivity. He added that ViiV’s pricing strategy with Dovato will be worth closely monitoring, as inexpensive generic versions of lamivudine are widely available. “Historically, payers have been willing to reimburse branded 3- and 4-drug STRs to ensure improved compliance over less expensive, multi-tablet regimens, but it remains to be seen whether or not the same will be true for 2-drug STRs such as Dovato. Dovato is also currently under review by the EMA. ViiV is also working with Janssen to develop a once-monthly injectable HIV combo regimen, which recently reported positive phase 3 trial results.